Are you new to 3D Printing or somewhat senior in the field ? 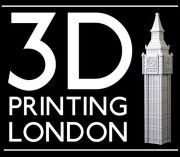 3D Printing London is for anyone interested in this revolutionary technology. curious about making your own jewellery, kitchen tools, spare parts, glasses, fashion accessories, toys and games, or anything else! just full of energy and playing with the idea of a 3D related Start-up. No matter who you are, what skill level, 3D Printing London is for you. Do you want to see printers in action? See and touch 3D printed objects? visit the iMakr Store, the world's largest 3D Printing Store, located in Central London. You need training to discover 3D printing or to improve your existing skills? Book your seat now! Join our group, and meet other 3D users, designers, bloggers, engineers, hobbyists, entrepreneurs and enthusiasts of all kinds. Attending our meetups is a great way to share projects, ideas and how-tos related to 3D printing. Join our group for Demonstrations, Talks, Informal get togethers and other Events.